Please see below an email and attached letter from GMC CEO Niall Dickson. 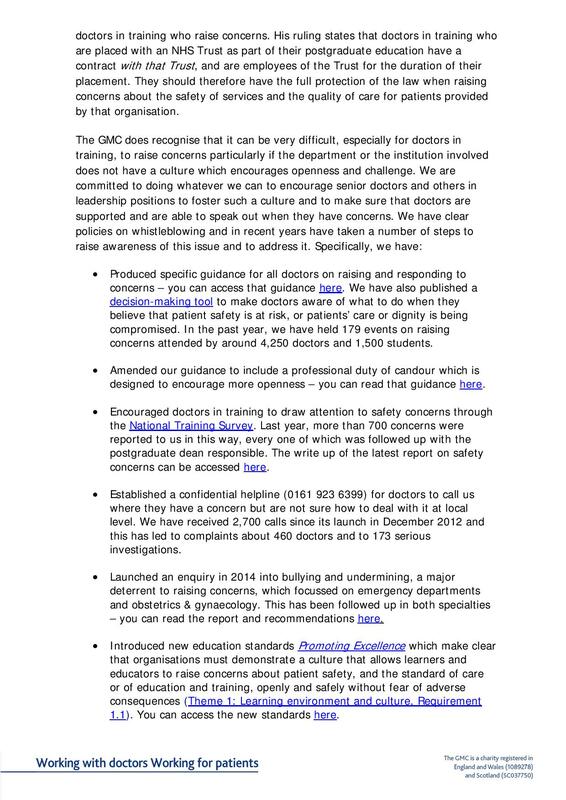 It is a response to the open letter sent to the GMC about Dr Day's case signed by 1000 doctors. 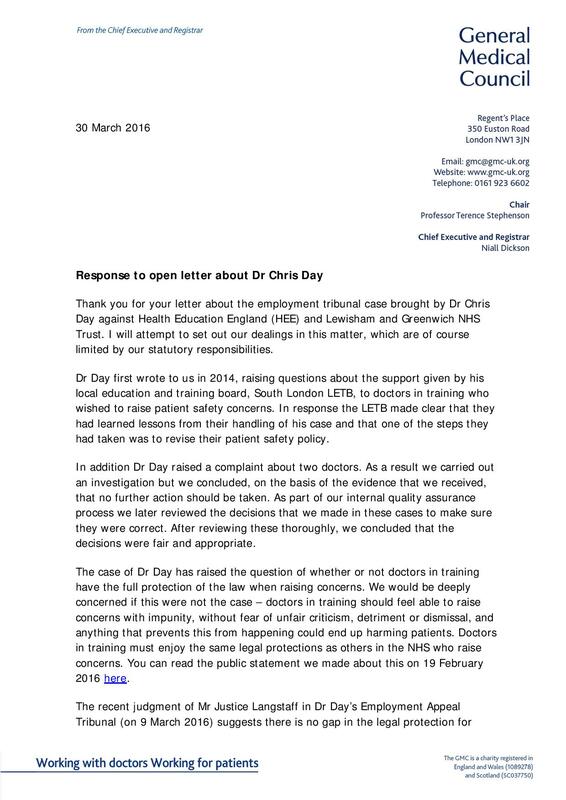 Please also see Dr Day's letter to the GMC that replies to their response to the open letter sent on 31 March 2016. 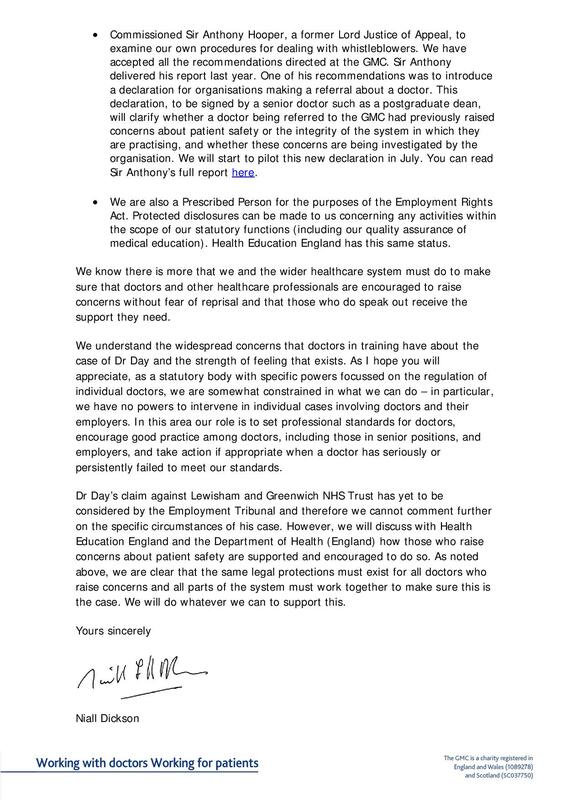 When you consider the GMC has authored a damaging letter and expressed a clear intention to send it to over 1000 of my colleagues yesterday afternoon, your response has come very late. 1. 54kd is about shining a light on certain areas of the healthcare establishment in the interests of other healthcare staff in a way that serves the interests of patients. 2. 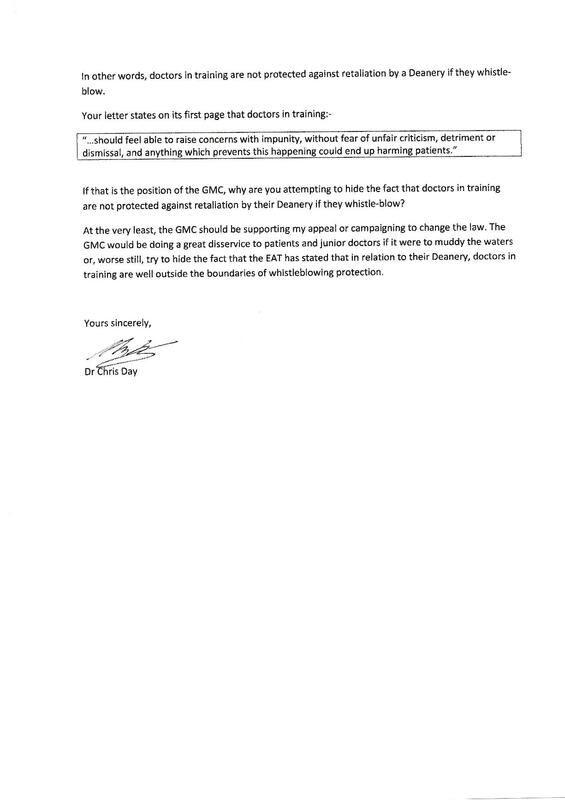 The GMC letter is a PDF, signed by the GMC CEO. Mr Dickson does not use the word draft in his email and states an intention to send the letter that day. It follows that the letter cannot be sensibly described as a draft. 3. 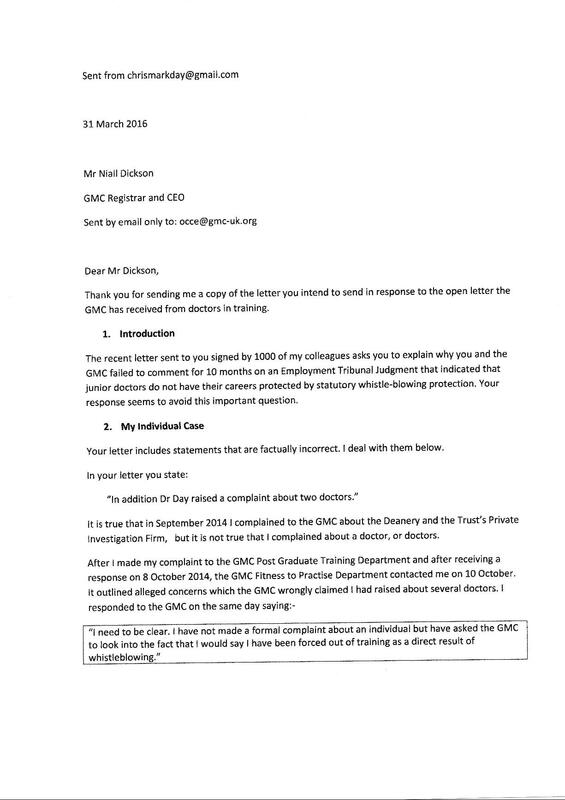 We would say the letter from Niall Dickson appears to be an attempt to damage Dr Day’s appeal and employment tribunal litigation. We believe it to be misleading in several places and take the view that Dr Day clearly shows this to be the case in his reply. 4. The letter misleads junior doctors on the reality of the recent EAT judgment and how protected they actually are if they are damaged on account of something legitimate that they say.